If you enjoy our freshly baked chocolate chip cookies, now you can enjoy baking them with your family. 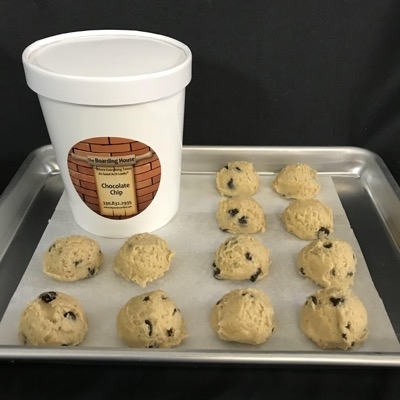 Our cookie dough comes in 2 pounds and makes around 18 cookies. Our cookie dough is only sold in store and not online. Available in chocolate chip, peanut butter, and candy chip flavors.